This past summer, some Green Party members opened up a dialogue with economic David C. Korten, who appeared via Skype on a screen before an audience at the party’s annual national meeting in Alfred, New York. During one discussion with a few Greens, Korten said that the Green Party “must find its narrative.” People can grasp political ideas if they’re presented as part of a story. This makes sense. It’s impossible to think, for example, of the achievement of legal rights for black Americans apart from the dramatic narrative of the Civil Rights movement. Greens need to find their own story that places the party’s ideas and experiences as a growing political movement into a context that will enable Americans understand our claim to be the party of the 21st century. 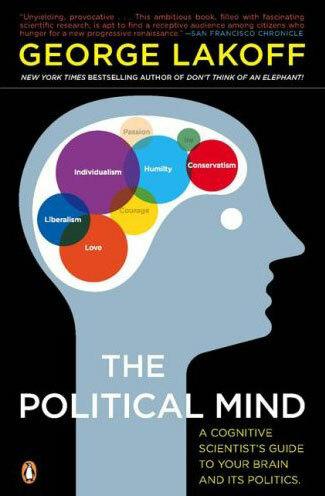 Professor George Lakoff, a cognitive linguist and professor of linguistics at the University of California, Berkeley, has taken this basic idea much further in a series of books, one of which is ‘The Political Mind: A Cognitive Scientist’s Guide to Your Brain and Its Politics.” Like Korten, Lakoff’s sympathy is with progressives. He never mentions the Green Party and we can fault him from viewing US politics from within the restrictive two-party prison. Nevertheless, every Green Party member who thinks about how people think about politics should read the book. According to Lakoff, progressives tend to subscribe to an 18th-century Enlightenment notion of reason, in which people make logical choices, especially political choices such as who to vote for, based on what’s in their own best interests. Lakoff says that this tendency among progressives is erroneous, demonstrably so, since Americans very often succumb to ruling-class propaganda and vote against their own interests. Instead, says Lakoff, people think according to culturally-based conceptual frameworks and systems of metaphor. Reason and intellect are grounded in our emotions and our physical bodies — there is no difference between the mind and the brain. This doesn’t mean that humans are irrational. On the contrary, it’s rational to be disgusted and outraged by cruelty, murder, greed, and other evils. Our sense of justice and our political ideals are formed with the help of emotions, which are stimulated by the fields of metaphor in which such notions are communicated. Reason often takes place in the unconscious mind, where these mechanisms function most effectively. Progressives have been slow to learn the power of metaphor, which Lakoff called “frames” in an earlier and equally useful book, “Don’t Think of an Elephant.” For this reason, Republicans have been able to pull much of the public and most of the Democratic Party over their side when arguing for things like the invasion of Iraq, even when all the logical arguments were on the side of those who opposed President Bush’s war plans. The US troops sent over to depose Saddam Hussein were heroes fighting an evil-doer who, like a comic-book villain, was hiding weapons of mass destruction and conspiring with al-Qaeda to destroy America. When no WMDs were found and everyone realized that the Saddam-Osama conspiracy was implausible, the hero-versus-villain frame was discarded and replaced with one in which US troops were “rescuers” sent to bestow democracy on the beleaguered Iraqi people. Both of these frames leave out details like the drive to control Iraq’s oil supplies and assert political control over a large region of Asia. While Republicans have excelled at exploiting frames, thanks to PR whizzes like Frank Luntz, Democrats have mostly relied on stale and ambiguous visions like “Bridge to the 21st Century” and “Hope is on the way.” An exception occurred with Barack Obama’s election victory in 2008, in which he was perceived as the conquering hero who delivered us after eight years of GOP misrule and the young “best and brightest” black man who carried the inherited mantle of Martin and Malcolm into the White House. These frames were effective because they convinced voters that Obama was the voice of progressive, antiwar Americans, even though his actual positions showed otherwise. Logical thinking, dissociated from persuasive frames, motivates Greens to believe that we can convince the voting public to support us simply by communicating our Key Values and platform positions, along with some debate to support the ideas we stand for. The campaign brochures of Green candidates sometimes look like laundry lists of what they hope to accomplish if elected. The Green New Deal, a useful distillation of Green Party agenda that many Green candidates have adopted as a sort of campaign manifesto, suffers from the same problem. It suggests President Roosevelt’s New Deal, which put millions of Americans to work and boosted productivity during the Great Depression, but this historical framework is a bit meager for people under 80 years old whose experience of the Depression is an essay they wrote for a high-school history class. Greens running for office on the Green New Deal must find ways to turn it into a story that can involve voters personally and emotionally. I’m not sure how to accomplish this, but placing it in the context of documents that pushed America towards greater democracy and freedom might be a start: Tom Paine’s Common Sense, the Declaration of Independence, the Bill of Rights and passage of various amendments, the Emancipation Proclamation, Seneca Falls Declaration, etc. Or perhaps a grand dramatic action, with an element of civil disobedience, to publicize the Green New Deal in the spirit of Martin Luther’s nailing of his 95 Theses to the door of the Castle Church of Wittenberg in 1517, which touched off the Protestant Reformation. The lack of cultural frames has stymied alternative parties for most of the last century. The Green Party is foreign to the two-party paradigm in which most Americans think about politics. There is nothing constitutional about exclusive rule by two parties, it’s simply a status quo that most Americans accept as natural. Lakoff has famously compared the competition between the Republican and Democratic parties as a rivalry between the “strict father” and “nurturant parent” (usually mother) models that come out of the “family” frame in which government is perceived as the parents and citizens are the children. Alternative parties are irrelevant to this frame, just as Iraqi oil was irrelevant within the hero-villain frame used to promote the Iraq War. This is why Green participation in elections seems to have the character of an eccentric distant relative who shows up at the front door when the family unit is about to settle down for dinner. When Greens remind other Americans that Green Parties exist and are often quite successful in elections in Europe, it only contributes further to the perception of the party as something foreign. The spoiler accusation and other reasons people use not to take the Green Party seriously are informed by the idea that alternative parties are trying to interfere with something as natural as the family. How can the Green Party of the United States persuade people that we don’t only offer good ideas, we represent something that is authentically and indispensibly part of the American political landscape? Greens must overcome the problem by developing our own frames. Occupy Wall Street provides some clues about how that might be accomplished. Occupy demonstrators seem to fit into a common narrative in US history, that of a popular uprising to defy the power of Wall Street and clear away the corruption of corporate-money politics. In the past half century, such uprisings have been marginalized and objections to the power of business elites have been relegated to the Democratic Party’s “nurturant parent” function, where such conflicts are resolved by the enactment of a few modest social programs while the power of elites remains unaffected. The Occupy Movement, if it can resist cooptation by Democratic Party front groups like MoveOn.org that would turn it into “Reelect Obama,” has the potential to overturn these facades. For Greens, enlightening Americans about the destructiveness of Republican-style conservatism isn’t enough. We must also enable people to understand that the Democratic Party shares much of the same mindset, even adopting many of the GOP’s agenda. Under President Obama, they have devoted themselves to building the US war machine for deployment anywhere around the world for US interests, often on the basis of “preemption” as in the case of Iran’s alleged nuclear ambitions. Democratic leaders have also embraced the temptation to slash Social Security and Medicare, legally questionable mandates requiring everyone to purchase private health insurance, offshore drilling along US coasts, new nuclear power plants, privatization of publicly owned resources and services (including military), taxpayer-funded bailouts and virtual impunity for Wall Street firms whose fraud caused the 2008 economic meltdown but minimal assistance for working Americans hurt by the crisis, and too many other examples to be listed here. Greens must also find frames strong enough to penetrate the psychology of progressives who are too relieved to have a Democrat in the White House, too ready to believe he shares their progressive agenda, and too loyal or impressed by his charisma when confronted with the need to register protest. Professor Lakoff shows the same tendencies when he writes in ‘The Political Mind’, which came out in early 2009, about Barack Obama’s impending move into the White House. Rather, Lakoff means patterns of thinking and communicating that are built into our cognitive wiring, just as all humans use grammar when they speak, even though the particular rules and structures of grammar of a language are learned. Cognitive linguists like Lakoff compare their theory of innate brain structure for culturally learned systems of metaphor with Noam Chomsky’s transformational-generative grammar, which sparked a revolution in linguistics in the late 1950s. Lakoff’s responses to Chomsky and other “18th-century Enlightenment” linguistics who are skeptical that there exist deep structures for metaphor and frames analogous to grammatical deep structures will be interesting to those (like me) who enjoy a good academic dispute, but these topics are only a small part of ‘The Political Mind’ and Green readers shouldn’t be put off. Lakoff waxes too optimistic in the final chapter, where he looks forward to an era of truth in politics made possible by the New Enlightment understanding of metaphor and frames advanced by himself and his fellow cognitive linguists. The sophisticated use of frames by rightwing politicians, with the wizardry of Luntz and other PR experts, suggests that deception might become even more pervasive in this era of saturation propaganda. We’ve seen how easily the Tea Party movement was manipulated by GOP operatives into endorsing remedies based on deeper entrenchment of the very ruinous policies, like Wall Street deregulation, that triggered the recent economic meltdown. But this is an argument for the Green Party and Green candidates to find more sustained and persuasive ways to bring the Green imperative to the public. ‘The Political Mind’ is indispensible for Greens who care about how we communicate. 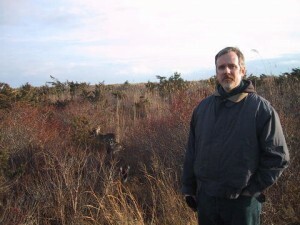 Scott McLarty serves as media coordinator for the Green Party of the United States and for the DC Statehood Green Party. He has had articles, guest columns, and book reviews published in Roll Call, Common Dreams, Z Magazine, Green Horizon, The Progressive Review, In These Times, and several local and community publications. He joined the Green Party in 1996 and in 1998 ran for the Ward 1 seat on the City Council of the District of Columbia. Mr. McLarty grew up on Long Island and now lives in Washington, DC. 3 Comments on "Finding the Green Frame: Professor Lakoff’s ‘Political Mind’ and the Green Party"
The real world task of the Green Party is to form a constituent base that presents a visible and viable option to voters. How we present issues in campaign need to be wrapped around blocs of voters where policy positions and structural reforms that we advocate can unify diverse sectors of the population. Some advocacy groups already figured this out. Restore the Delta has unified commercial fishermen with environmentalists in opposing the Peripheral Canal for distinct reasons. This is not about storytelling. It is about establishing constituencies through concrete political concessions and victories. This means we have to stop presuming that the solutions exist outside of the political arena in social movements, whether the Tea Party or OWS, that are no more or less than vehicles of popular expression on behalf of the duopoly parties. It is not the leadership of these movements that define their political role, absent viable opposition parties. We have moved beyond the point where such movements are not gamed by the duopoly. The most immediate task that any political party confronts in building an opposition party is responding to the actions that the duopoly parties take to restrict ballot access and scare constituencies through “spoiler ” campaigns. This requires Greens to re -define our understanding of grassroots in our issue and campaign work. It means we develop local bases, broaden our base and look to real strategies that establish an active and distinctive role for the Green Party. It means getting away from centralized policy presentations, such as the Green New Deal. If we can get away from the YES or NO policy issues wrapped around the culture war and identity politics we have a chance to do this. This may be too much to ask for given the roots of so many Greens. The voice of a party comes FROM its base and we have been bound with an activist base since our formation.Our most successful electoral efforts are as much based on the existing constituent base of our candidate as on their campaigns. For this to change we need to demonstrate our relevancy and our viability. We also need to improve candidate recruitment that brings forward candidates that are viable and stay away from running perennial candidates who are not community representatives in some form already. On the Question of:-More sustained and persuasive ways ( how we communicate) to bring the Green imperative to the public… ” political mind”. I feel more and more as I read and mature how personality- driven on cute sayings, how shallow, easily indoctrinated with short-term bite and small brain- byte staying capacity the public’s political mind is estimated to be. Vote once if you can get the ti8me and energy to do so- then leave it to the establishment, grumble a bit about unchangeable degenerating circumstances/systems and discuss the latest movies ( interspersed with commercial ads… which is where the candidates spend huge amounts for their campaigns). So I wonder- as the online protest movement ” Avaaz” has exponentially grown, given the reach of the internet social media tools and the escalation in awareness and concern amongst the ” literate” and the luxury of considering and voting UPON EVERY ISSUE of concern… so I think the Green movement could grow in the same way… have a small sincere erudite team constantly present the many issues of concern to the Green party… for public involvement/feedback/voting consensus.